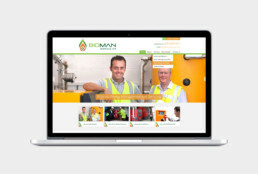 Cardiff based biomass management and installation company Bioman, approached myself to design a new brand consisting of a logo, business stationery, website and vehicle livery graphics. The logo has a modern but has a technical feel. Biomass burning represented by the orange flame shape with the green shape behind representing a leaf. A magnifying glass is overlaid with a cog in the centre. The magnifying glass represents monitoring and managing. 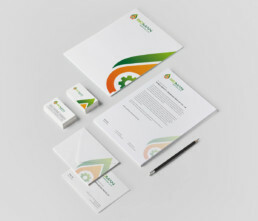 The cog represents servicing and maintenance.